Note 1: Yusuke Tanaka, Sam Gallaway and Yojiro Takahagi made their debuts for the Wanderers in this match. Takahagi scored his first goal for the Wanderers. Note 2: Labinot Haliti played his 55th A-League match for the Wanderers. Mark Bridge played his 75th competitive appearance for the Wanderers. Where are ya where are ya all ya seats are empty are empty....this break feels longer than an off season. Is Harry still playing. Standard phrase for the rest of the season. OOOOOOOOOOH, FOUR MATCHES, FOUR MATCHES, FOUR MATCHES........ FOUR MATCHES, HE ONLY PLAYED FOUR MATCHES!! this break feels longer than an off season. Is Harry still playing. Can we please have the black shorts for this weekend? We would have to wear the red and black shirts to avoid a clash, and I'm starting to fall in with the superstition brigade - black shorts are a must! I'm not superstitious but like Crash says: "If you believe you're playing well because you're getting laid, or because you're not getting laid, or because you wear women's underwear, then you *are*! " Why are Tomi & Spira out of our squad due to International Duty, but Nathan Burns is in for Wellington as he "returns from international duty"? Also, KGJ refereeing this match. Euugghhh. I guess they don't think Burns will get any game time. Burns having an extra day to be right would be my guess, plus he hasn't exactly been overrun with playing time in the Asian Cup. With Tomi and Spira to return the next game. ^^^ With Takahagi hopefully getting a few minutes off the bench. Is Taka HAL approved or he is only on an ACL contract? He is HAL approved as of today, replacing Saba. 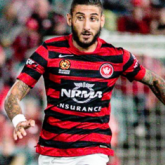 Check out the 'Takahagi sings with Wanderers thread', the last few posts show the update. Thanks nmh, then I completely agree with him coming off the bench. Hopefully he can bring at least half as much professionalism, work ethic and Japanese flair to the side as Shinji did. If he does that, then we're already ahead of Saba's contribution. Also, does anyone know about Castelen's injury situation? I've maintained from the start that we just needed our full squad together for us to start stringing some wins together. 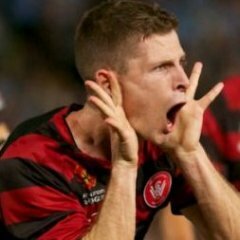 When Juric and Spira come back, we will probably have our best team on the field since the ACL Final. Been too bloody long a wait! Who else is heading down? Also heading down Chappy. Four of us have had our hotel and flights booked for some time. Anyone know where we meet pre-match? 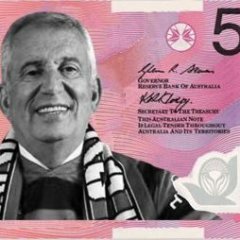 Tagahagivic should be a starter now he is officially on the A League squad. 'Tagahagi sings'????? Is this a new chant I'm unaware of? Make sure you point and laugh at the Green Seat Elite. 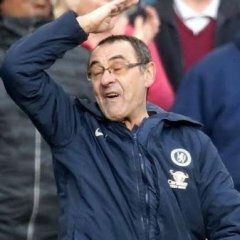 Last thing he needed was another injury setback, not like we are going to not play against him with us playing heart 3x over the next 2.5 months! Will we finally get a star above our badge for this match? no josh kennedy, no david villa and frank lampard didn't even bother replying back to melb city. The Maltese messi's only goal was against the smurfs!